Educators know that teachers are a school’s most essential strength. 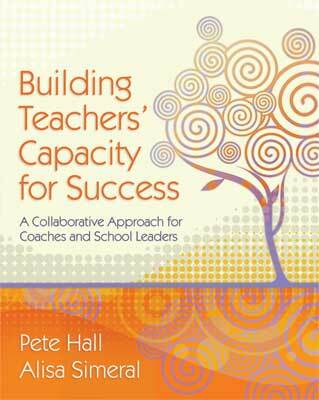 In Building Teachers' Capacity for Success, authors Pete Hall (winner of the 2004 ASCD Outstanding Young Educator Award) and Alisa Simeral offer a straightforward plan to help site-based administrators and instructional coaches collaborate to bring out the best in every teacher, build a stronger and more cohesive staff, and achieve greater academic success. Their model of Strength-Based School Improvement is an alternative to a negative, deficit-approach focused on fixing what's wrong. Instead, they show school leaders how to achieve their goals by working together to maximize what's right. Filled with clear, proven strategies and organized around two easy-to-use tools—the innovative Continuum of Self-Reflection and a feedback-focused walk-through model—this book offers a differentiated approach to coaching and supervision centered on identifying and nurturing teachers' individual strengths and helping them reach new levels of professional success and satisfaction. Here, you'll find front-line advice from the authors, one a principal and the other an instructional coach, on just what to look for, do, and say in order to start seeing positive results right now. "This is an incredibly practical argument for just how school people need to work to improve classroom instruction. The authors have 'been there, done that' when it comes to school improvement, and their Continuum of Self-Reflection is a wonderful scheme for keeping everyone focused on the things that really matter." "Monitoring classroom instruction is a critical tool for improving performance, and in this book, the authors describe the success they had with an approach to walk-throughs built on detailed individual feedback and coaching. It’s a valuable contribution to the literature on walk-throughs and the impact they can have on student performance."